Today I had on a dark, vampy mani and thought this SinfulColors glitter topper might just make it pop and give it a bit of holiday flair. 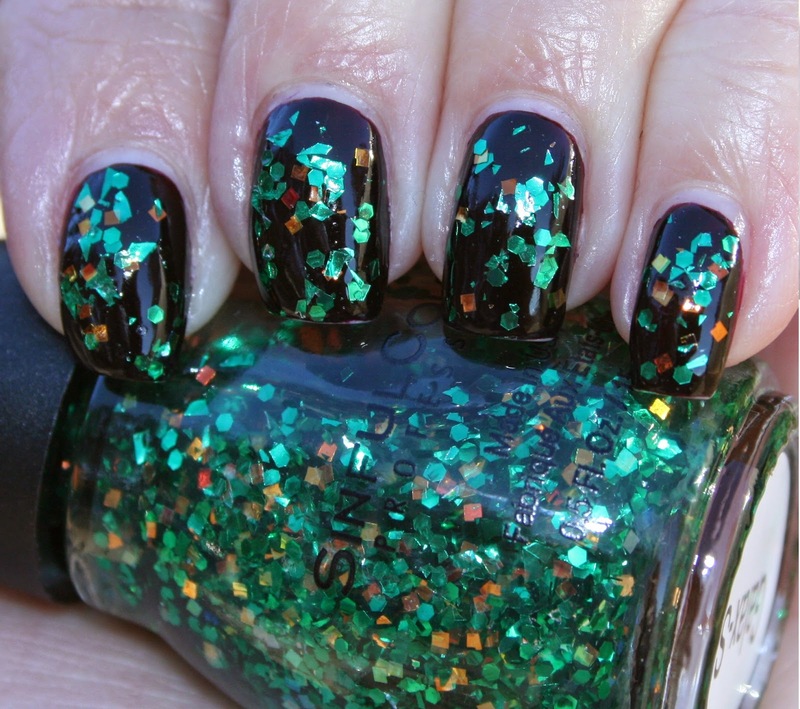 Galaxy-Sea is a clear base filled with green and gold glitter, and I love the way it looks over this dark color! I got great coverage just dabbing it on- my brush was easily filled with glitter, no need to fish around or specifically place. A coat of Seche Vite smoothed it out nicely. Galaxy-Sea is part of the SinfulColors Holiday 2014 collection and is available for $1.99 each exclusively at Walgreens. Love your nails! Are you doing gel manicure? OPI Kiss Me- Or Elf! The End of the OPI Ulta Exclusive Holiday Sets?